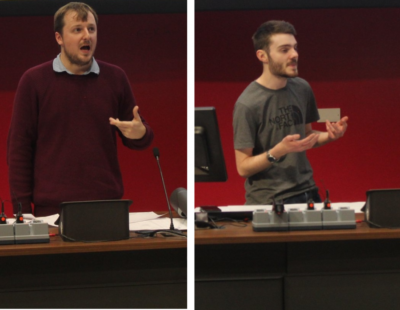 The York IV 2019 was won by the team Breaking On A Points Based System (Michael Crossely, Ryan Fisk) from the University of Hull. They won the final out of Closing Government against the Opening Government He taught me LO, he taught me PM, he taught me Pain, thank u, Fred (Craig McDonald, Georgie Friend; Cardiff/Warwick), the Opening Opposition Rafael Shimabukuro memes for woke male feminist teens (Joshua Varughese, Lucie Slamova; Warwick) and the Closing Opposition Manchester QS (Rae Qiu, Yusuf Steel). The motion read “THW prohibit the media from reporting on the mental illness of those accused of crimes”. The adjudication panel for the final consisted of Mark Wilson (chair), Anita Carroll, Coco Collard, Jess Clunan, Nathanael Clifton, Raghav Mehta and Vincent Koon. Best speaker of the tournament was Rae Qiu. The tournament was CA’d by Anita Carroll, Freddie Marshall and Coco Collard. It was convened by Samantha Wilson and David Rowley. Given a trade-off, THW direct environmental policy towards mitigation of climate change, rather than prevention.